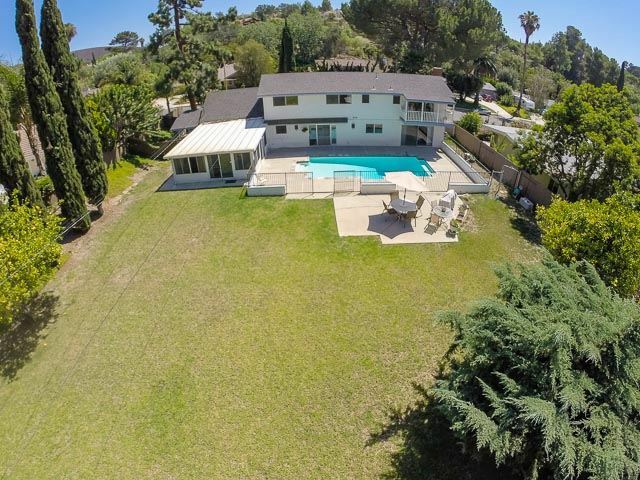 Alex Gandel, #1 Agent with Troop Real Estate 2011-2014, Simi Valley, California, has listed a 2-Story 4 Bedroom, 3 Bath Pool Home on a Sprawling Lot in Thousand Oaks, CA. THOUSAND OAKS, Calif. - Sept. 23, 2015 - PRLog -- New Meadows 2-Story Pool Home featuring a private brick accented single door entry, a LR/DR combo w/a decorative wood-framed FP & a slider to the patio, a kitchen w/tile flooring, an island w/a range, a double oven, a dishwasher, a window over the sink w/a view to the beautiful backyard featuring mature landscape w/a sprawling grassy yard & a newly remodeled sparkling pool. Other great features include a large patio room w/windows on 3 sides w/a view to the backyard, 2 sliders, & plenty of space for a game table. Accent features include pocket doors, jalousie windows in the baths & laundry room, ceiling fans, a downstairs bedroom/office w/French doors, a downstairs bath w/shower, a 2-car garage w/a work bench & a covered carport, a front balcony over the porch, a MBR w/a view balcony, spacious secondary rooms! This is a wonderful home situated near Meadows Art & Technology Charter School, the Thousand Oaks Library, parks, shopping, restaurants & more! In 2014 Alex Gandel closed 101 transactions. His knowledge and “glass-half-full” mindset, as well as his incredible ability to “think out of the box,” enables him to continue to help a multitude of people throughout all of Ventura County from First Time Home Buyers and Sellers, to Estate Level Buyers and Sellers. Furthermore, Alex’s knowledge, experience, expertise and network spans over three decades which elevates his clients to an outstanding advantage of truly reaching their real estate goals. For more information about this property contact Alex Gandel's office: 805.522.6788.